Any restaurant on here could be visited for dinner and some for breakfast, but they are best seen as lunch stops.Their strengths are their soups, salads, sandwiches, desserts and flavored coffees and teas. These are restaurants where lunch has become an art form. Since their kitchens are not focused on preparing major entrees for the evening session, they pour all their focus into very creative, cutting edge variations on common lunch items. Since neighborhood executives and their staffs tend to eat lunch here, and many of them will eat at the same places every day, the menus tend to rotate daily or weekly, or else there is a basic menu with a blackboard of daily specials. The same caution applies to these luncheon stops as usually applies to dinnertime restaurants : they can get quite crowded during the noon hour. 11:30 or 1:00 is a much better time to go. Keep in mind that many of the regular restaurants in other sections are also fine places to go for lunch. 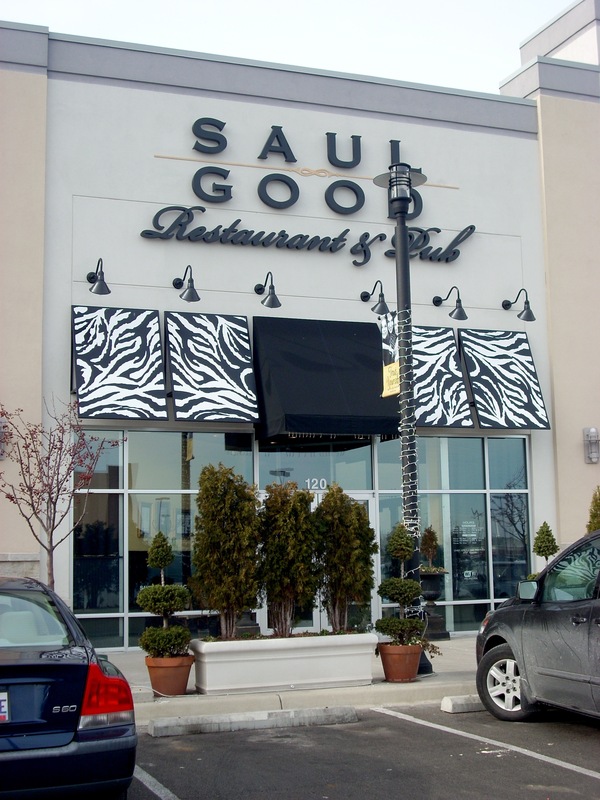 These restaurants are grouped together here because they specialize in lunch. If you're up for a short drive into the Blue Grass Backcountry, especially in the Spring or Fall, Graze is your place. You drive out Winchester Road past I-75, turn right onto Combs Ferry Road, and just across the Clark County line you come to the white frame building seen here. Graze does not use a menu. Food is harvested fresh from the surrounding fields every day and the menu will feature whatever's available. Graze calls it "Field To Fork." 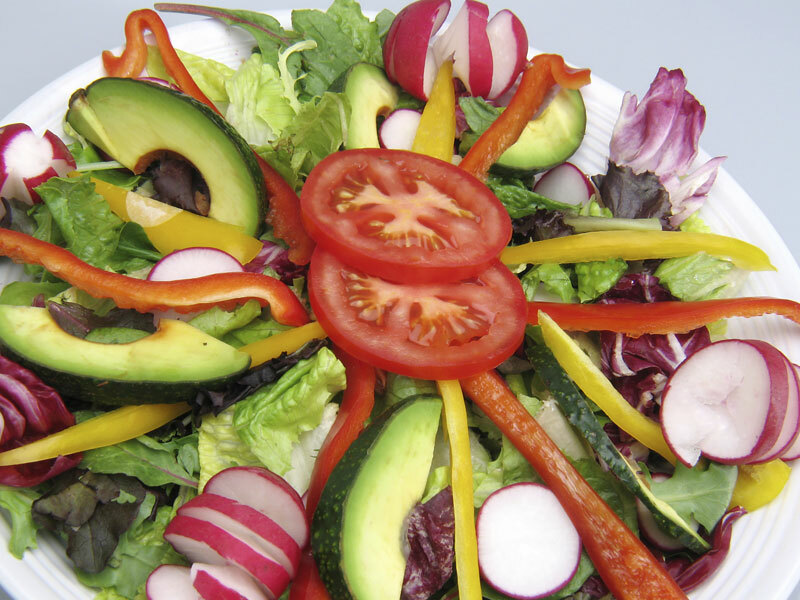 Obviously, Salads, Vegetables, Fruits, Cobblers, and Meats are specialties, and they make their own salad dressings. 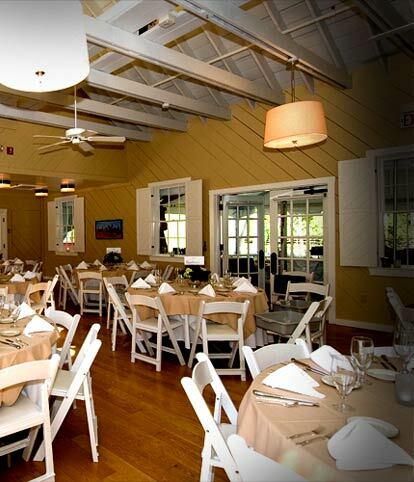 You can phone (859-745-0990) to see what's offered each day, and you might want to make a reservation, because Graze has grown very popular and as you can see from the photo is not large. For a Friday and Saturday night you should call by midweek. There's a small wine and beer list, but nothing on tap. We think their best entree is the fresh Bison on those days when it's available. But the Pork and Ribeye are also outstanding. 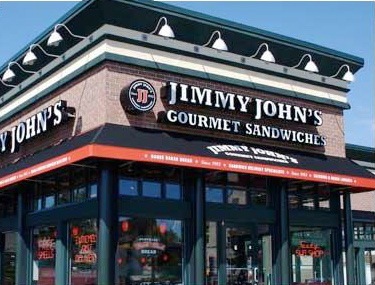 Jimmy Johns is a gourmet sandwich outlet boasting that they cut all meat and vegetables fresh right in front of you, bake their own bread each day, and apply everything, such as Grey Poupon, just before handing you the finished sandwich. They don't serve anything except sandwiches but they fix those so fast that if you weren't watching them you'd swear they had to be prepackaged. They have six SUBs, six Slims, 11 Giant Clubs, and their signature Gargantuan. If you're hungry we recommend that Gargantuan (salami, smoked ham, capicola, roast beef, turkey, provolone, onions, lettuce, tomato, Italian dressing on a homemade French bun). It could be considered Dinner in a Sandwich. If that seems a bit much, try the Italian Night Club (salami, capicola, smoked ham, hot peppers, provolone, lettuce, tomato, onion, mayo, Italian vinaigrette). The Vegetarian Sub contains provolone, avocado, alfalfa sprouts, cucumber, lettuce, tomato and mayo. Other modest offerings are the Bootlegger (beef, turkey, lettuce, tomato, mayo), Porker (applewood smoked ham, bacon, lettuce, tomato and mayo) and the Unwich, which has your choice of the sandwich meats or vegetables on a plate without the bread. Jimmy Johns has four Lexington locations : Waller Avenue, South Limestone (campus), East Main (downtown), and Tiverton Way. Joseph Beth is America's largest singly owned bookstore. But there's also a very good restaurant inside. 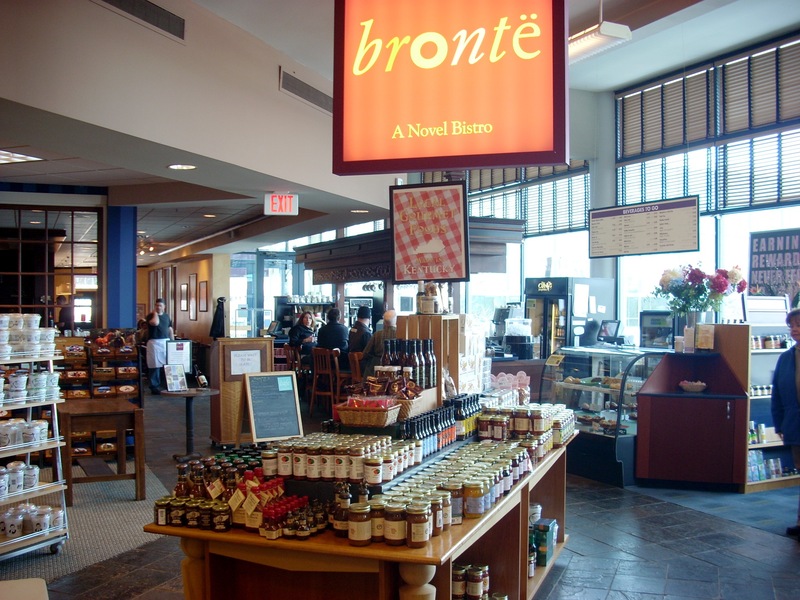 At left is the restaurant entrance from the bookstore. A large fireplace adds cheer to the paintings and books used for decor. Seating is in bad need of updating;upholstered benches, chairs and various sizes of tables looks like a random display from the 1960s. But the food is competitive with any lunch restaurant in the state, and it's a cozy stop for breakfast or dinner. Soup of the Day is likely to be Italian Vegetable or Potato Bacon. There are always two great daily Quiches, one meat and one vegetable, and the Vegetarian Greek Wrap (red onion, artichokes, tomato, olives, feta cheese, spinach and rosemary lemon aioli wrapped in a spinach tortilla) alone is worth stopping for. The six salads are outstanding, with the Turkey Cranberry Feta and Pear/Almond/ Raisen/ Bleu Cheese our favorite. JoBeth serves one of the outstanding Open Face Turkey Sandwiches in Lexington, and Spinach Artichoke Quesadilla (spinach, artichoke, parmesan, jack cheese, mandarin orange dip and sour cream grilled within a spinach tortilla) is very good. Their Vegetarian Chile is served mild with a side of hot sauce so you can flavor to taste. It's pretty rich without the sauce. Beverages include coffees, teas and smoothies. Forest Pie (rhubarb /apple/ peach/ cherry/ berry cobbler) and Peanut Butter Pie are great. 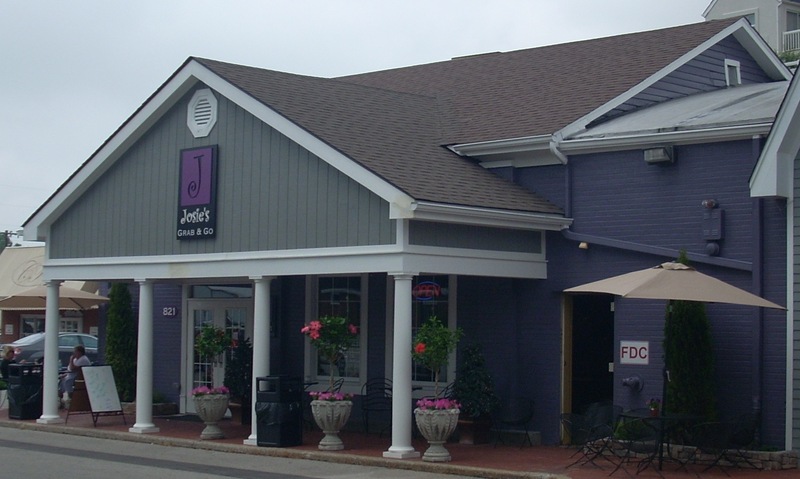 Josie's began as a carryout service, but is now a "diner" style breakfast and lunch operation. You can sit at an old horseshoe bar, in booths, or at old dining room tables. As purely a lunch stop, it may be the best in town. The classic combo is the Quiche of the Day served with either a cup of the Soup of the Day or a Classic Salad. The quiches and soups are great every day no matter what the flavor. The Josie's Whitefish Sandwich is either the best in town or a strong rival to Charlie's for that honor. If you're into burgers, you'll love either the Smoke House Burger (bacon, smoked cheddar, Makers Mark BBQ sauce and toasted onions) or the Spicy Burger (pepper jack cheese, fried jalapenos and Southwest ancho mayo). 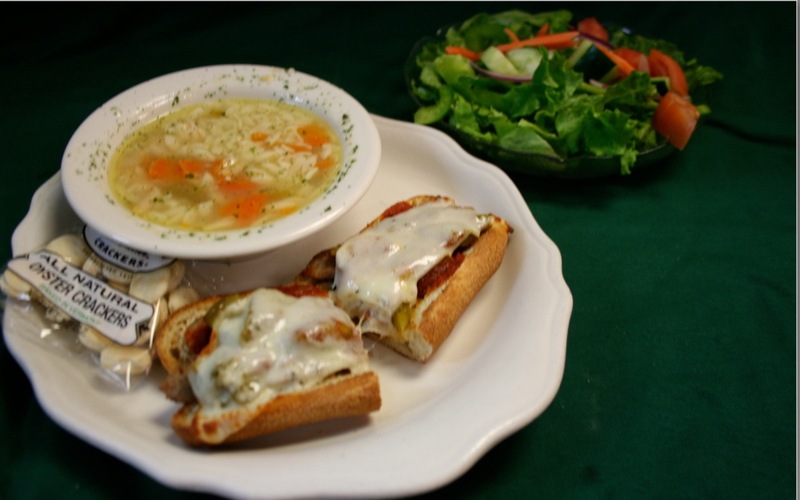 One of their popular items with locals is the Zesty Chicken Sandwich (grilled chicken breast topped with banana pepper rings and spicy pepper jack with lettuce and tomato). There's a Reuben, Hot Corn Beef and six kinds of Salads. In all there are 14 sandwiches, plus Grouper Fingers and Quesadillas. Chevy Chase Place, last business on the right rear, just before the Drug Store. 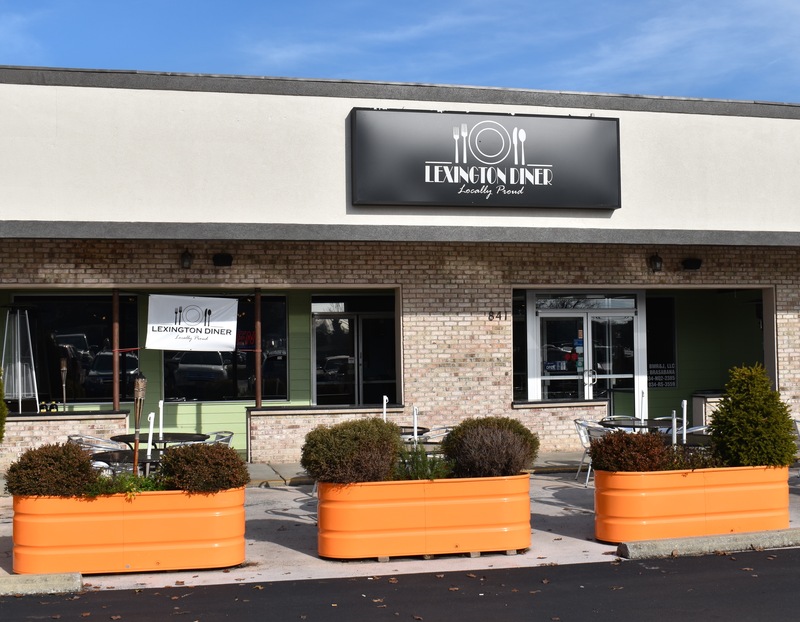 Lexington Diner has a new home on Lane Allen Road in the former Brasabana building. The menu is mostly the same. They serve Breakfast all day with favorites like Chicken & Waffles, five overstuffed Omelettes (especially the Smoked Gouda Omelette), Mexican Hot Chocolate, Buttermilk Biscuits, and the unique Breakfast Brown (chorizo, scrambled eggs, gravy, grilled tomatoes and baked cheddar). The Sunrise Burrito (scrambled eggs, bell peppers, chorizo, cheddar, guacamole, sour cream and pico de gallo) is the star of the show. For Lunch or Dinner, the Farmstead Salad is one of the best in town (turkey, ham, bacon, cucumbers, tomatoes, eggs, cheddar and mixed greens). But there's the Taco Salad (pulled chicken, red onion, tomato, cheddar, mixed greens, in a tortilla with pico, sour cream and guacamole), and a fine Chicken Quesadilla. Their Soup of the Day is always worth ordering. The Chili contains beef, chorizo and a shot glass of ale. There are five Burgers : Bourbon Burger, Jive (tomato, pickled onion, basil pesto, mozzarella, balsamic drizzle), Short Street (onion, provolone, bacon, chipotle aoli), Kilauea (steak, pineapple chutney, garlic aoli, pepper jack cheese, fried wonton strips) and the Traditional. We're big fans of their Hot Roast Beef Sandwich. There are also Nachos and Fish and Chips. Sides include red wine slaw, mustard potato salad, spiced apples and cheddar garlic fries. Try the dessert nachos and berry compote. The Diner is not open for dinner. McAlister's Deli specializes in salads, sandwiches, soups and potatoes. 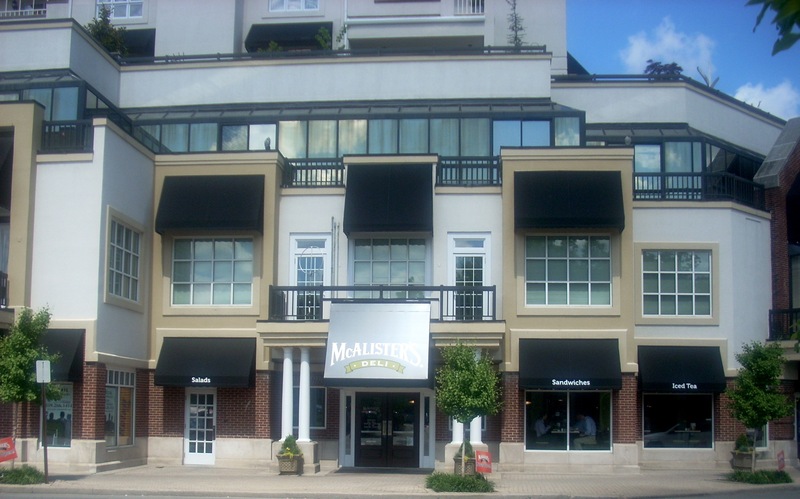 The first McAlister's was in a converted gas station and this one echoes that with black and white tiles and a light, airy interior with high ceilings and plenty of windows. 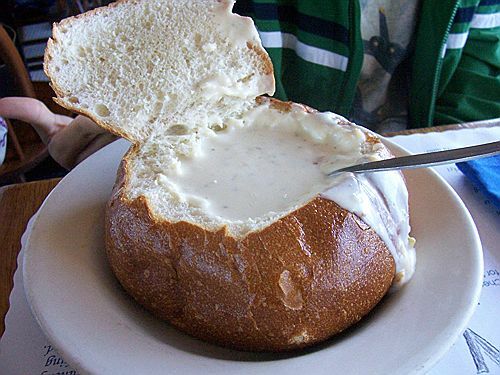 The best bargain is their Soup with Salad, Spud or Sandwich for $7. They offer four soups a day and they're all good. Of the salads, we like the Italian (black forest ham, salami, olives, roast red peppers, provolone, onions, cucumbers and tomatoes), Savannah (grilled chicken breast, cranberries, gorgonzola, honey roast almonds, tomatoes and cucumbers) and Southwest (grilled chicken breast, roast corn, poblano pepper relish, guacamole, cheddar jack cheese, tomatoes and tortilla chips). There are 33 Sandwiches (Club, Grilled, Classic and Hot) and eight Baked Potatoes. Choices include Muffaletta, Reuben, Memphian, Italian Submarine, Horseradish Roast Beef, and Orange Cranberry.. The four sandwiches which include Black Angus Roast Beef are all delicious, and Applewood Smoked Bacon shows up on seven others. The Veggie Club (avocado, cucumbers, roast red peppers, red onions, lettuce, tomatoes, sharp cheddar, Swiss, Parmesan and Peppercorn) is a vegetarian favorite. 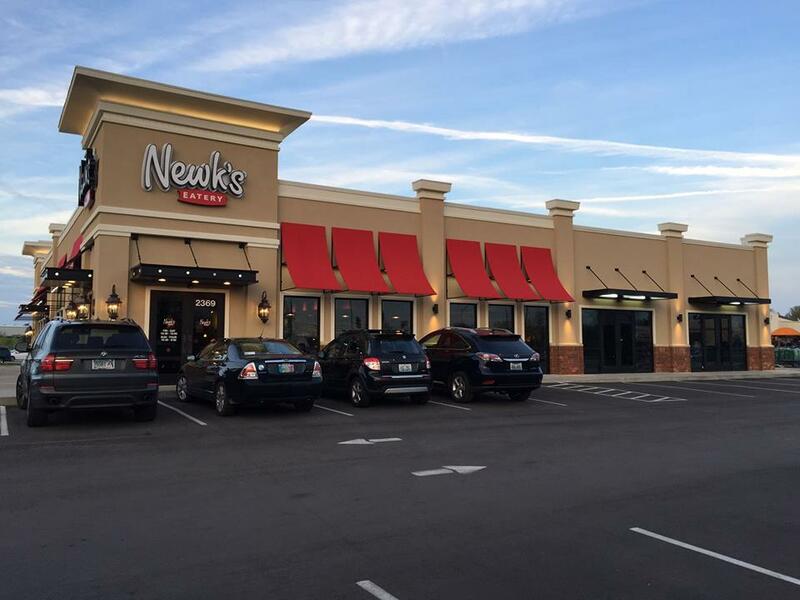 Newk's is a an upscale fast casual restaurant with Richmond Road and Fayette Mall locations. Ambience is sleek and modern. You order off a wall menu and find a table, watch through the glass as they fix your order and the waitress brings your food. Newk's offers Salads, Soups, Pizzas, Sandwiches, Mac n Cheese and Dessert. There are no microwaves; everything is fixed fresh from raw ingredients in front of you. Salads are spectacular, with large bowls of five kinds of fresh lettuce and whatever other ingredients you specify (chicken, shrimp, tuna, avocado, steak, cheese, etc.). These may be the best Salads in town. Soups are also outstanding, offrered on rotation, with each one appearing 2-3 times a week and each day offering three choices. We like their Tomato Basil, Crawfish Pepperjack, Spinach & Feta, Seafood Provencal and Fire Roasted Tomato. Mac n Cheese options include Five Cheese and Pimento Bacon. Pizza lovers can try Spicy Shrimp, BBQ, Flame Grilled Chicken, Mediterranean, Veggie and Margherita. One nice touch is a Condiments Table with Cholla Sauce, Tabasco Sauce, etc. Beverages include Beer, Wine, Soft Drinks, Fruit Juice, Sparkling Waters, Coffee and very good Sweet Tea. Dessert can be Strawberry, Chocolate or Caramel Cake. They're very rich and delicious and make great take hone. Noodles looks like a fast food outlet, but is a serious pasta, soup and salad restaurant. You order from the counter and they bring it to your table. Prices range from $6 per bowl of pasta to $5 per bowl of soup to $8 per large salad. Ice Tea is $2, Beer is $4 and Wine is $6. Kids (of all ages) who love Mac & Cheese can order either Wisconsin or BBQ versions. Adults will come back several times to sample various pasta choices : Bangkok Curry, Indonesian Peanut Saute, Tuscan Linguine, Pesto Cavatappi, Pad Thai, Japanese Pan Noodles, etc. Soups include Thai Curry, Tomato Basil Bisque and Chicken Noodle. Salads include Spinach & Fresh Fruit, Grilled Chicken Caesar, Chinese Chicken Chop and Pork Med. There are even a few Sandwiches : BBQ Pork, Mediterranean, Wisconsin Cheesesteak, and Chicken Caesar. You can order Beer, Wine or Iced Tea with your meal. Old San Juan is a classic Cuban restaurant, run by a Cuban couple along with their daughter and son in law. It's a low key storefront with a Cuban grocery in the back, but the food is outstanding. This is an especially good lunch stop. You could order the Cuban sandwich (ham, swiss cheese, roast pork, mustard, pickles and their incredible homemade Cuban bread), or the Roast Pork Sandwich (pork, swiss cheese, lettuce, tomatoes on that same bread), or one of the other six sandwiches. You could easily become addicted to this bread. Sides include Black Beans & Rice, Fried Plantains, Beef Stuffed Potatoes or Chicken Croquettes. The Coffees here, especially the Cuban Expresso, are almost worth a stop in themselves. Milkshakes include the Pina Colado, Mango, Mamey, Guava, Tamarindo and Guanabana Shakes. Order the Medium, as these are pretty rich. 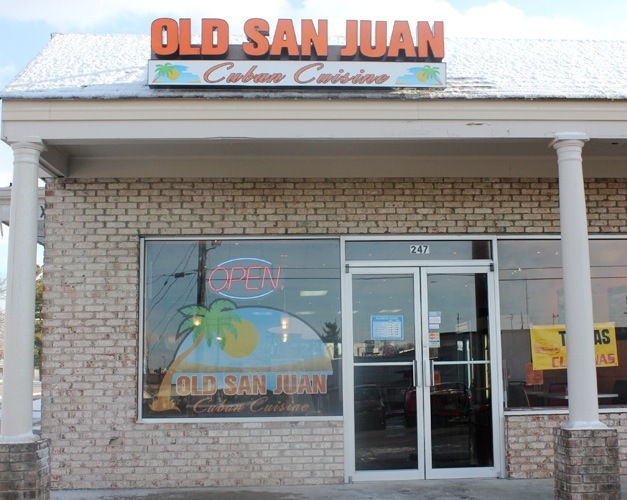 The dinner menu includes Steak, Pork Chop, Ground Beef, Pulled Simmered Beef, Red Snapper, Shrimp, Chicken, Sausage With Onions & Cheese, and a Cuban Vegetarian Platter (black beans, cheese, lettuce, tomatoes, onions & peppers). Ingredients are basic but their sauces, seasonings and dressings are special. Leave room for dessert. There's Cuban Flan, Tres Leches, Pastries and Quesitos, all quite rich. Leaving here you can't help but wonder how Mexican instead of Cuban food became so popular. This cuisine is much lighter and the tastes much more delicate. 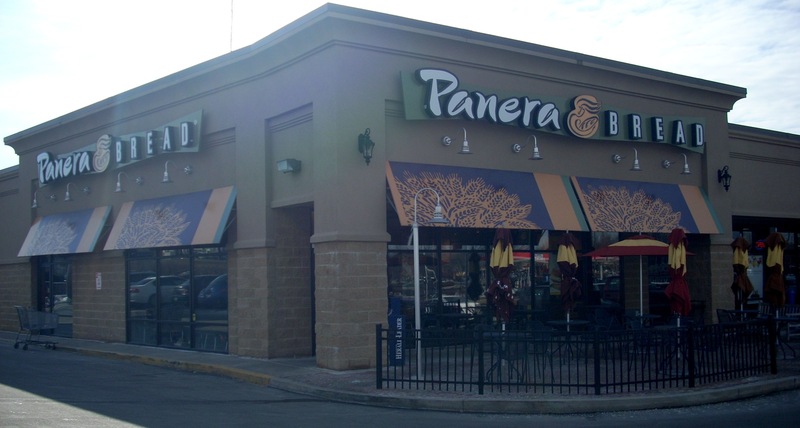 Panera's is famous for drinks, soups, sandwiches and paninis. We like their Ginger Peach Tea, which we have tried and cannot duplicate anywhere else (so we just buy boxes from Panera). Of their soups, which we order in the bread bowl Puritan style, we like Creamy Tomato (pureed with red pepper and oregano in cream) and Garden (Swiss chard, cauliflower, zucchini, tomatoes, beans, peppers, barley, and basil pesto thoroughly pureed). The two salads we think lead the pack are the Mediterranean Salmon (chilled salmon, field greens, romaine, feta cheese, olives, oranges, almonds, red onions in honey tangerine vinaigrette dressing) and Fuji Apple Chicken (citrus herb chicken, field greens, romaine, tomatoes, red onions, pecans, Gorgonzola, apple in white balsamic apple vinaigrette). The Asiago Roast Beef and Mediterranean Veggie top a whole page of sandwiches. 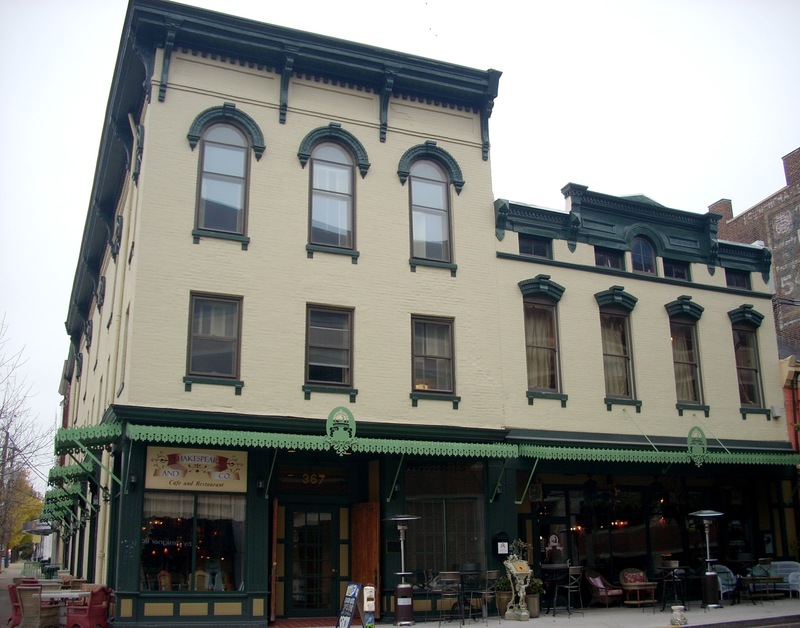 Shakespeare's is in a beautifully restored 1890s building at the corner of Short and Broadway. It's only a block from Triangle Park and well worth the walk. The decor is an eclectic mix of frilly pink, purple, blue and turquoise. The menu is a 22 page extravaganza of British, European and Middle East. The first page consists of four $12 Breakfasts : American, British, Mediterranean and Healthy. The American, for example, includes eggs, grits, hash browns, sausage, bacon, toast, butter, jam, juice and coffee. There are also various orders of eggs (Smoked Salmon, Roast Potatoes, Hollandaise Sauce Folded Into Scrambled Eggs) and Crepes (Turkey & Cheese, Almond Caramel, etc.). Once you turn to the lunch and dinner menu, you find six kinds of Flatbread and five soups. We like their Tomato Soup with ginger and cream. You can pick from six Salads. Oddly, we like their Mediterranean Salad the best, but it is NOT a Mediterranean Salad. Of their Sandwiches, the Smoked Salmon stands out. Which brings you, way back on page 14, to the Entrees. There are some hard choices to make here, but we think their Red Snapper, Rack of Lamb and Baby Back Ribs are their best. It takes several pages to list all their exotic teas and coffees, beers, wines, bourbons, and mixed drinks. Outdoor seating is available in warm weather. More so than most restaurants, it will take many visits to sample all the nooks and corners of this menu. Stella's is West of downtown in an old yellow frame house at 143 Jefferson (two blocks north of the viaduct). 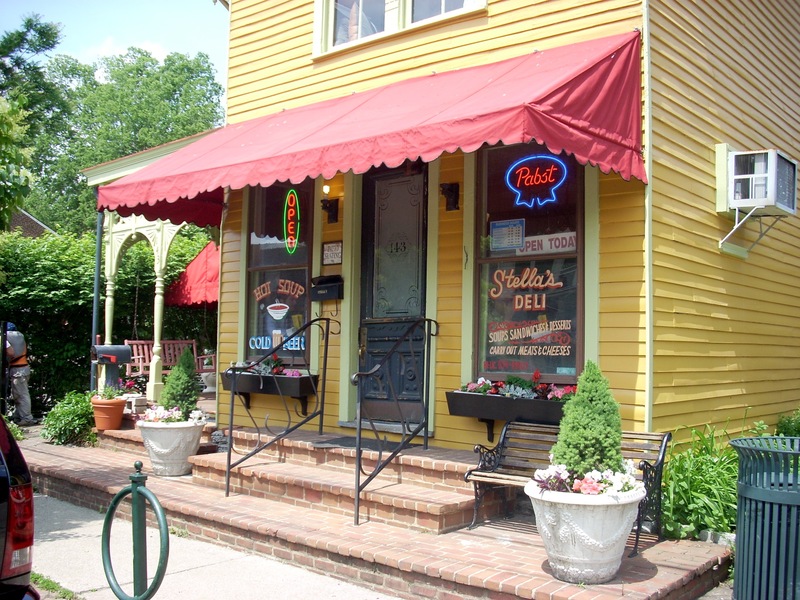 Stella's takes great pride in either raising or buying locally everything used in their kitchen. On their menu they list precisely where everything comes from : the meats, breads, eggs, cheeses, hand ground grits and flour, wines, all of it. Their $3 Soup Of The Day, $4 Salads and $3 desserts are always worth ordering, but the menu is really an All Star Sandwich roster. Many of them only exist here : Hummus & Tapenade, Apple & Bleu Cheese, Lentil Burger, Candy Bar Sandwich, Grilled Peanut Butter & Jelly, Brat Kraut & Swiss, Vegetarian Hot Brown, and Bagel & Lox. Some are common but just better here : Fried Green Tomato BLT, Reuben, Pimento Cheese, Lamb Burger, Hot Brown and Chicken Salad. Made with fresh picked local ingredients as they are, Stella's sides are pretty impressive : Tomato Aspic, Cole Slaw, Potato Salad, and Red Beans & Rice. Just about the only item on the menu originating outside the Central Blue Grass is the Smoked Salmon, but it makes a fine addition to any salad for $3. There are only a dozen tables inside, and over the noon hour they're usually full. You might consider coming earlier or later. 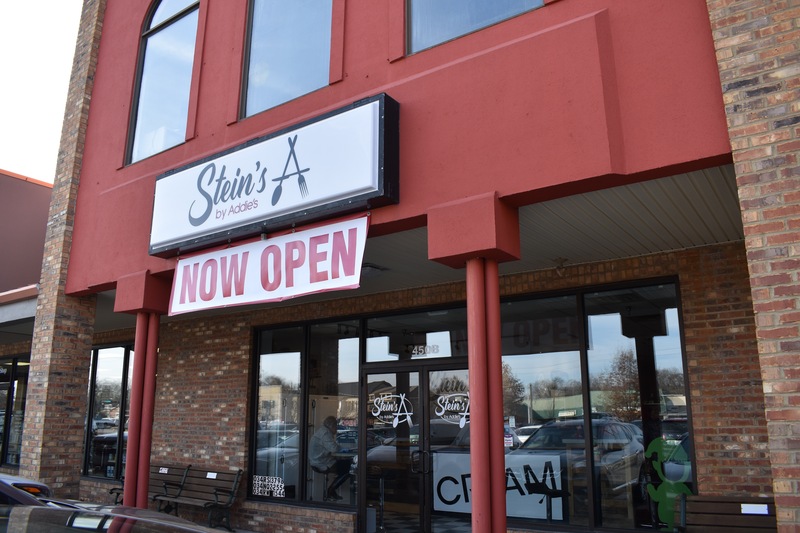 Stella's opens at 10:30 daily, closing at 4 Mondays and Tuesdays and 9 the other days. The Village Idiot is certainly a historic experience. The building dates from 1810. 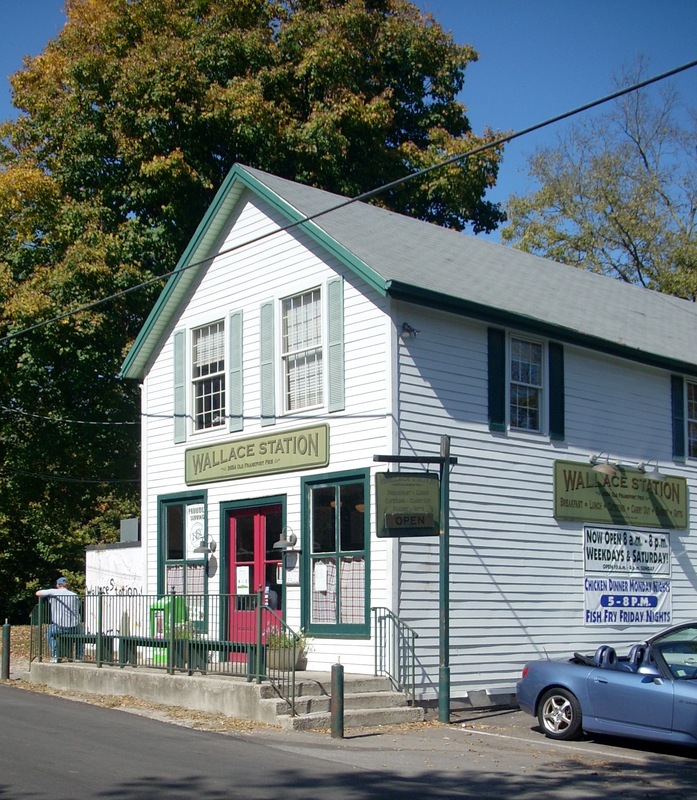 It was the original Lexington Post Office, and is on the National Register of Historic Places. Converting it to a pub presented challenges, which they have solved very creatively. It's worth visiting just to see the building. The food, however, is unexpectedly good. 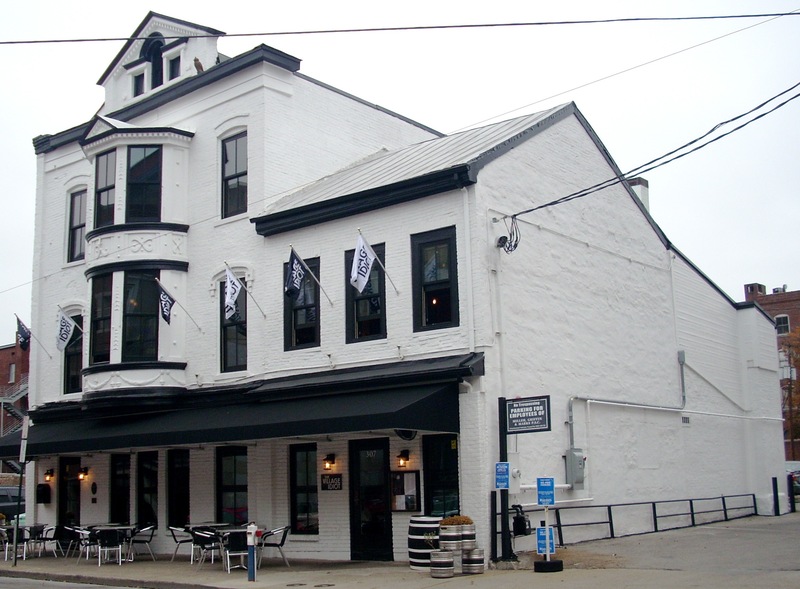 This is a gastropub, a tavern with gourmet beers plus gourmet food. They've taken it seriously enough to hire two certified and experienced chefs and stock an impressive cellar of wines, spirits and beers. You can order cutting edge items : Pork Belly with sauce and kimchee, gourmet popcorn, Cheese Waffles, Scotch Eggs (hard boiled eggs deep fried in ground beef), Roast Brussels Sprouts (with bleu cheese, potatoes and onions), Smoked Trout, Sloppy Joes, Mussells, Seared Scallops and Country Ham. 307 Short Street. 381-9493. From the Hyatt, walk two blocks north on North Broadway, turn right on West Short Street, and look for the Village Idiot at the end of the block on your left. 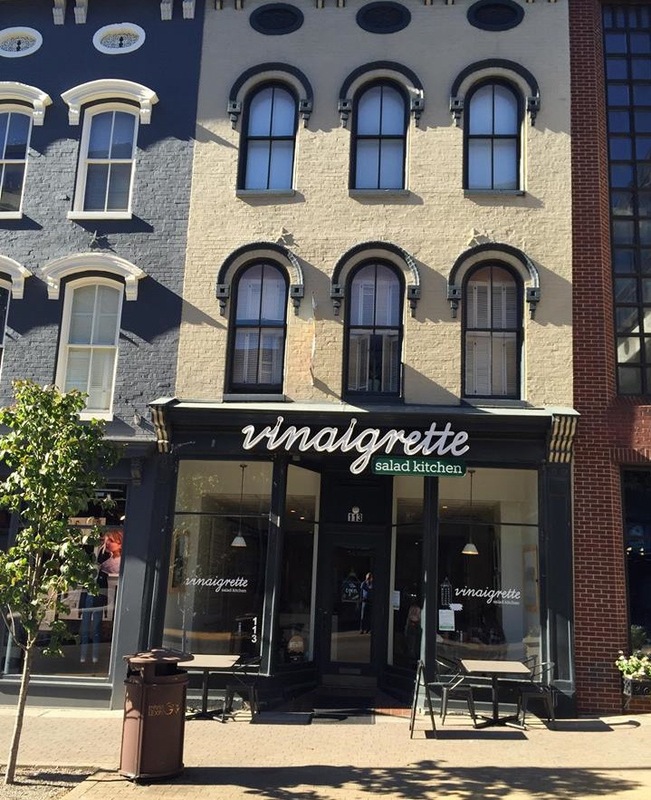 Vinaigrette is a lunch stop specializing in Lexington's greatest Salads. There are 10 of them, plus a Soup of the Day and beverages (lemonade, tea and soft drinks). Our favorite is the Blue Grass Black Berry Salad. It includes Mixed Greens, Strawberries, Apple Chips, Red Onion, Pecans, Crumbled Feta, Blackberry Sorghum Dressing with an option to add Country Ham. The Kale Salad includes Kale, Quinoa, Sweet Potatoes, Parmesan Cheese, Dried Cranberries, Sunflower Seeds, Rice Noodles and Honey Balsamic Vinaigrette. The Vegan Power Salad is a tour de force : Mixed Greens, Cabbage, Quinoa, Chickpeas, Carrots, Cucumbers, Grape Tomatoes, Sweet Peppers, Roast Sunflower Seeds, Endamame, and a Creamy Lemon Vinaigrette. The list goes on : The Santorini, Chicken Taco, Orange Blossom, Tuscan, Chicken Salad, Acapulco Caesar, and BLT Deluze. You can ask for Blackberry Sorghum Vinaigrette, Bourbon Smoked Paprika Ranch, Chipotle Lime Caesar, Creamy Lemon Vinaigrette, Honey Orange Sesame Vinaigrette, Balsamic Vinegar, Pure Ranch, and Tuscan, Salsa or Honey Balsamic Vinaigrette. 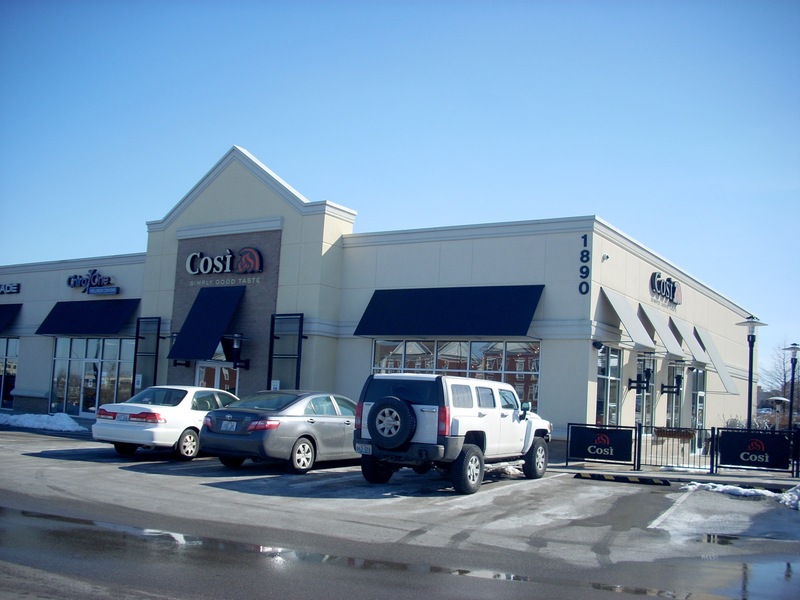 This North Broadway location is four doors up from West Main Street and Triangle Park. At Wallace Station, lunch is almost an afterthought. 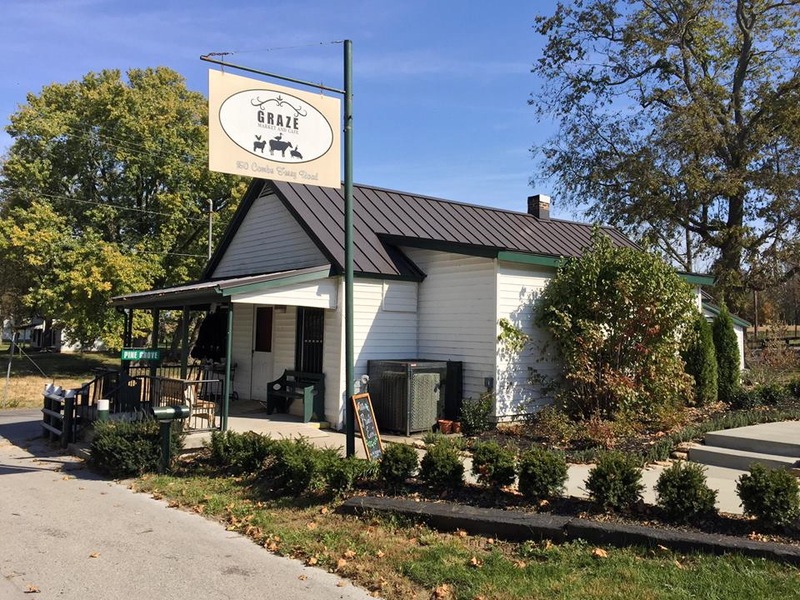 The drive out from Lexington on Old Frankfort Pike takes you through some of the most beautiful backcountry in the state, past some of the world's most famous horse farms. In the Spring and Fall, the landscape is lush and green. In the Fall it's a riot of red, orange and yellow. But Wallace Station will quickly pull your mind back to Food. This is a great lunch stop. Their Whitesburg Soup Beans n Corn Bread is an old mountain classic which Chef Ouita has made into a gourmet item. On other days, their Creamy Chicken and Mushroom is just as good if not as famous. There are three Salads (Chicken/Tuna, Turkey/Ham, and Greek) and a Cole Slaw/Potato Salad combo. They're all good. Probably the stars of the lunch menu are the Big Brown and Inside Out. The Big Brown was designed to be Kentucky's finest burger. In addition to beef, it contains ham, bacon, tomato and white cheddar mornay. It's running mate is the Wally Burger, loaded with lettuce, tomato, red onion, pickles, and your choice of white cheddar, Swiss, pepper jack or provolone cheese. Over on the Hot Sandwich, the Inside Out is Outa's version of the beloved Hot Brown. It grills roast turkey, ham, tomato and white cheddar mornay cheese on homemade bread. Other sandwiches include a Veggie Cheese, Turkey Rachel, Tuna Melt, Reuben, Cuban, Grilled Turkey and Ham & Brie. There are eight Cold Sandwiches and a Wrap. Wallace's serves Fried Chicken every Monday night and Fried Catfish every Friday night. The Breakfast menu includes some delicious twists on old country favorites. The Hellarito includes sausage, two eggs, guacamole, chipotle, mayo, grilled onions, roast red peppers, grilled potatoes and tobasco sauce stuffed in a jumbo tortilla and grilled. Chef Ouita's Panini features scrambled eggs, creamy spinach, artichoke hearts, parmesan cheese and hollandaise butter. 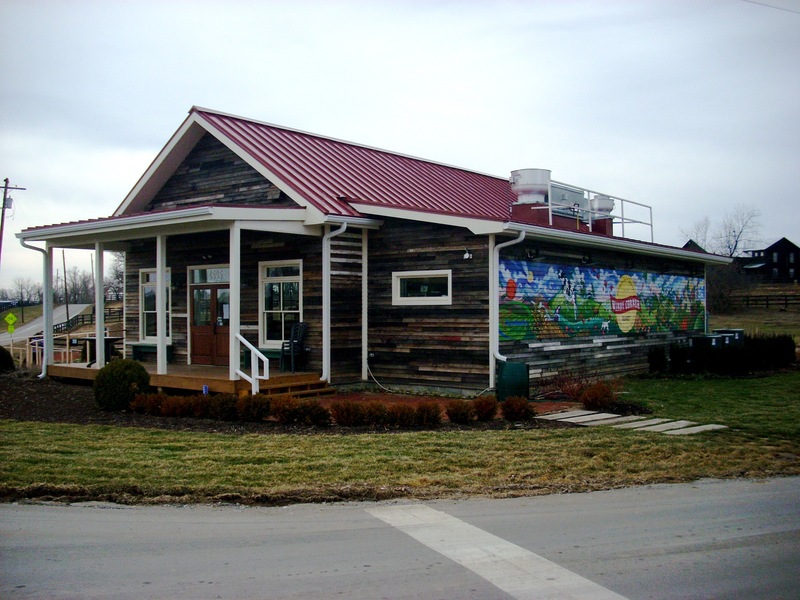 Windy Corner is one of Central Kentucky's most charming lunch stops. It was a country store in the heart of horse farm country. This is not really the original building, but it's been totally rebuilt to match it as closely as possible. The floor is beautiful reclaimed planking and beadboard lines the walls. There's the same red metal roof and the big windows along the wall opposite this view. But you come for the food. They serve breakfast and dinner (which includes Shrimp & Grits), but their best menu is Lunch. Always take a cup of their Soup of the Day. There's a whole page of Po Boys, of which our favorites are Barbecue and Kentucky (both pulled pork). Chef Ouita's interpretation of this old standard evolves into a sort of Open Face Sandwich, with Fried Pickles and Bourbon Barrel Beer Cheese to liven it up. There's a good Fried Catfish Basket, which has as good a breading as you're going to find in the state, plus some outstanding Hush Puppies, Remoulade and Cream Cole Slaw. The Steamed Vegetable Basket includes locally raised Kale, Broccoli, Red Bliss Potatoes and Green Beans in olive oil and sea salt. There are three good burgers, made from local beef and served with either hot bourbon mustard or spicy peanut dressing. You can get wine, Peach Tea, Hazelnut Coffee or Ale 8 One. Desserts, mostly cookies, brownies or bars, are made in house or nearby from scratch. Woodford Reserve Distillery in Woodford County started a restaurant to serve its customers as they concluded their tours. Recently it has become a full scale lunch restaurant, serving out on the porch every Tuesday through Saturday, May 1 through November 1, from 11 a.m. to 3 p.m. From Nov. 1 through April 30 they serve indoors in the facility shown at left. Their tour is considered by most to be the best on the Bourbon Trail, which includes all the other major distilleries in Kentucky. And there's a sampling of Bourbon at the end. But the food is also worth coming for. The picnic-style menu out on the porch includes multiple cold sandwiches (Santa Anita Club, Paige's Veggie Cheese, Old-Fashioned Country Ham, KT's Pimiento Cheese, PB&J), salads (Shady Lane Chicken Salad and a Greek salad), chips and desserts such as brownies, bon-bons and cookies. Inside during the Winter months, the menu is more traditional. Featured is the Inside Out, their version of the classic Hot Brown, and the Big Brown, their attempt at the greatest burger in Kentucky. The food is actually not made here but is prepared by Outia Michels and her staff at nearby Wallace Station. Since the Michels group has swept most culinary awards in recent years, that's a good thing. Woodford Reserve Distillery is on McCracken Lane outside Versailles. For anyone visiting in Central Kentucky, this is almost a Must Stop.